Sometimes a gimmick can trample upon the art. We have all seen it. Some band who may or may not be creating something special, only to let it take a firm back seat to a schtick. Perhaps it is an elaborate super shiny multimedia extravaganza. It might come in the form of a five-person, multi-tuned cowbell section and/or audio samples from Dr. Strangelove. These are the kinds of bands that leave the soundman sorely exclaiming, “How many mics and DIs do you need again?” before sulking off and muttering under his breath a filthy slew of words only known to the hardiest of sailors. With a live set up that features up to double-digit members playing various strings, percussion and woodwinds, it would be easy for Claire and the Crowded Stage to suffer this pitfall. Thankfully, on the new album Kamikaze, the band shows masterful control of how to question the integrity of a stage’s weight limit in a way that is truly synergistic to a great whole. At times, it is almost a rock music bait-and-switch. During the proggy break in “Songbird,” the usual scathing guitar takes a back seat in the rhythm section to let the clarinet champion the solo with splitting vigor. The single reed’s moment in the spotlight works especially well in tandem when it returns to its more traditional floaty place on the following “Night Owls,” whose side-to-side head bob groove sounds like the perfect sound track for a Tootsie Roll pop commercial. Extra points for the delightfully arbitrary reprise outro. Other strong moments include the Avett Brothers-go-to-Disneyland sounds of “Tower of Babel” and the prohibition jazz speakeasy slice of noir in “Technicolor.” “I Saw it All” is perhaps the best use of the symphony style arrangement on the record, growing from simple ukulele to full orchestra pit and back again. “The Nightside of Day” finishes off the record as a delightful denouement with joyful-sounding, yet stormily-themed sock hop flair. Fronting this well-oiled juggernaut is the powerfully voiced Claire Adams. Her affected vocal stylings pierce the ear in a beautiful misfit manner, ranging from a very airy and playful Regina Spektor to the soulful belt of Neko Case. Much like the success shown by the orchestra beneath her, she shows great discretion on when to play the sweet little skipping girl with cartoon hearts in her eyes and when to let fly the tortured, broken soul inside. The often-paired harmony vocals add a further power and intrigue in all the right spots. … are just a few examples of the impactful wordsmithing flexed throughout. All put together, it ends up being one damn fine record that should definitely be added to your collection. Having been fortunate enough to catch Claire and the Crowded Stage a few times in various haunts, the live show is equally as impressive. Make sure you check it out and get your own copy of Kamikaze. Zach Hodson is a monster. He once stole a grilled cheese sandwich from a 4-year-old girl at her birthday party. He will only juggle if you pay him. I hear he punched Slimer right in his fat, green face. He knows the secrets to free energy, but refuses to release them until Saved by the Bell: Fortysomethings begins production. He is also in Dolls on Fire,Drew Black & Dirty Electric, and Riot Riot Riot, as well as contributing to various other Kansas City-based music, comedy, and art projects. 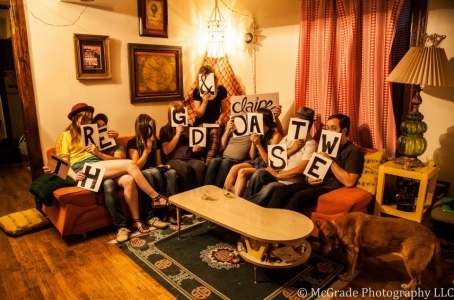 Claire and the Crowded Stage will be commandeering the recordBar stage this Saturday, July 26, to celebrate the release of Kamikaze. 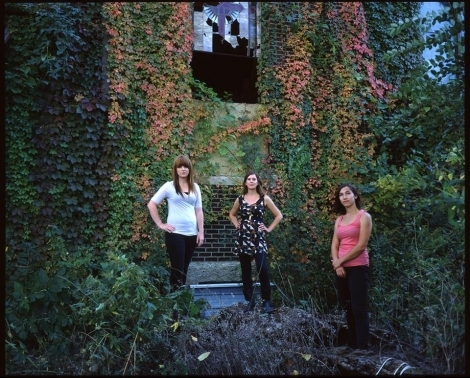 Ali Holder & Christy Hays and Bearing Torches will open the show at 10 pm. Facebook event page. 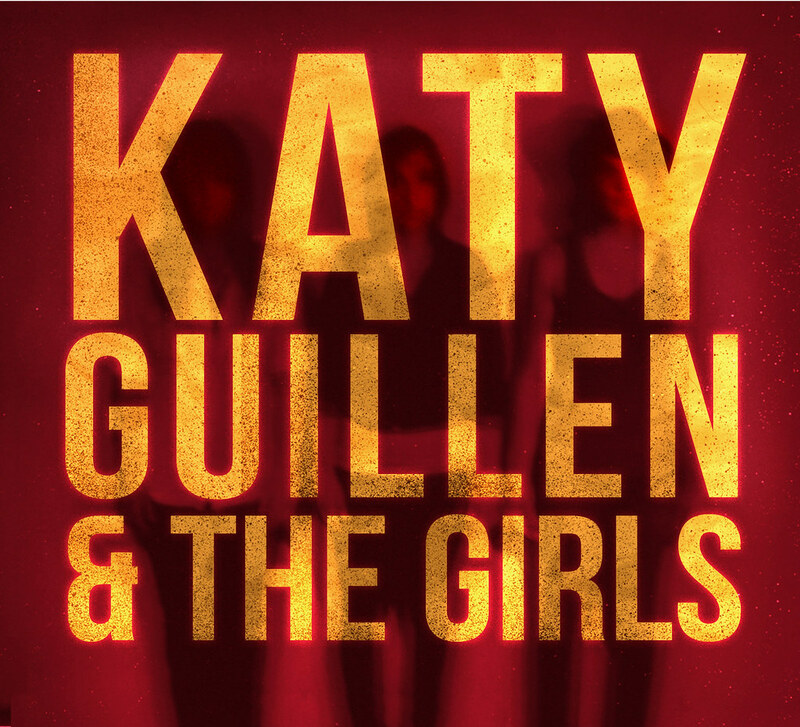 Congrats to Katy Guillen & the Girls, The Deli KC’s second-place pick for 2013 Emerging Artist! 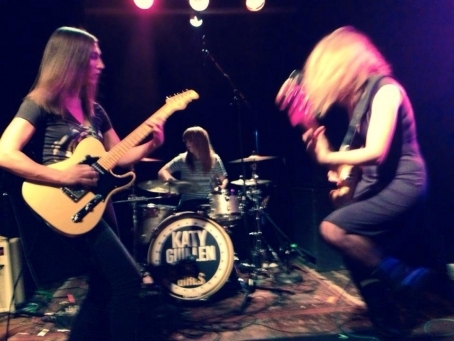 Though they’ve been a band for only a little over a year, Katy Guillen & the Girls have gained a strong and dedicated following in Kansas City and beyond. Guillen—whose blues/roots/rock/flamenco guitar skills far exceed that of most—has assembled a precise, expert rhythm section of Claire Adams on bass and Stephanie Williams on drums (see our 2012 interview with Williams) to set her songs in motion. 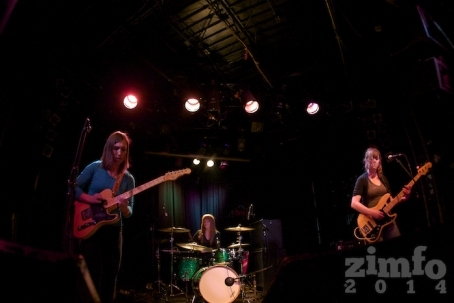 The trio recently took fourth place at the International Blues Challenge in Memphis with its unique, daring interpretation of blues rock. KG & the Girls released …and then there were three in summer 2013 (see our review here) and a single for “Earth Angel” early this year. If you want to find out more about them, we did a Q&A with them shortly after the album was released. The group will be playing at Knuckleheads on Wednesday, February 26, with The Latenight Callers and John Velghe & the Prodigal Sons. Facebook event page. Michelle Bacon is editor of The Deli KC and plays bass in The Philistines and Dolls on Fire, and drums in Drew Black & Dirty Electric. The trio releases the song right before descending upon Memphis to represent Kansas City in the International Blues Challenge next week. The KC kickoff show is this Saturday, January 18, at BB’s Lawnside BBQ. KG & the Girls will play the IBC as well as a few dates in Nashville and New Orleans over the next week. “Earth Angel” is a ballad that successfully packs in every element that gives KG & the Girls its signature style, which is rooted in the blues but draws from rock and jazz influences. It begins with Guillen’s masterful guitar work and carefully weaves in her compelling vocals with the always-on-point rhythm section of Claire Adams and Stephanie Williams. Though the track clocks in at nearly eight minutes, it gradually accelerates along with a balance of delicacy and force that gives it a satisfying sense of brevity and completeness. The song was recorded, mixed, and mastered by Duane Trower at Weights & Measures Soundlab. The band is offering up the track as a free download for one week, so head over to their Bandcamp and get your download. Also, head over to BB’s this Saturday at 9:00 p.m. to see them before they leave for Memphis. AJ Gaither will be opening up the show and joining the band on a few tunes. Facebook event page. Michelle is the editor-in-chief of The Deli Magazine—Kansas City. She plays drums in Drew Black & Dirty Electric and bass in Dolls on Fire and The Philistines. She thinks gingers are dumb.